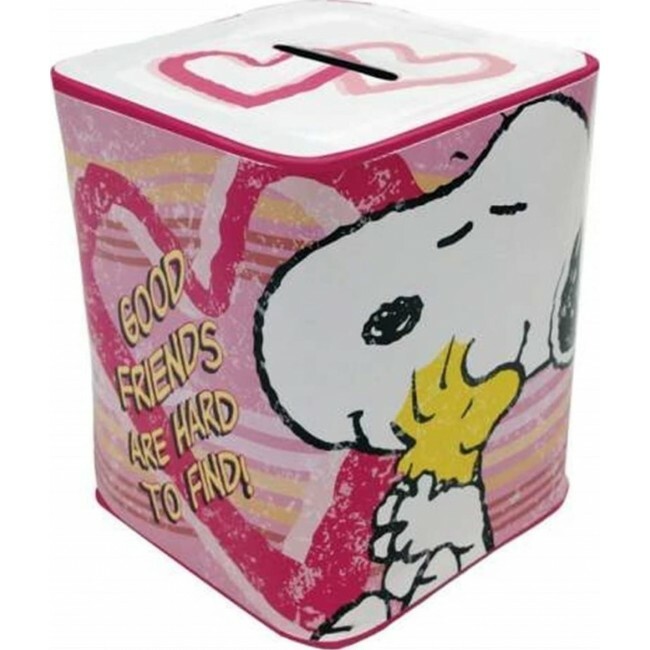 Peanuts tin bank. Pink coloring features Snoopy & Woodstock hugging. Measures: 3.75".